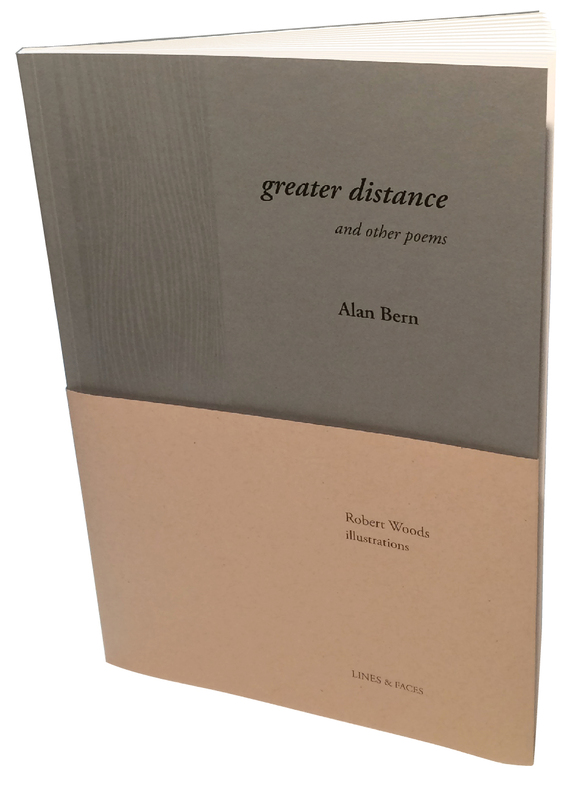 Alan Bern's greater distance and other poems is an exquisite book. The poems are strong and delicate, minimalist, with just the right number of words, arranged just right. I was particularly moved by the way Bern contrasted childhood memory and the loving sorrow of caring for and caring about aging parents. I know this book will repay many re-readings. And what a visual treat this book is. Designed with great skill and great care by Robert Woods, and Woods's illustrations are stunning and beautifully made. It's already a successful book, so handsomely created, a treasure that should reach many people. Daniel & Daniel Publishers, Inc. In Alan Bern’s second book of poetry, images and dreams start in the home of the author’s heart. Born and raised, and still living, in cosmopolitan, international, and, yes, provincial Berkeley, California, Bern recalls his childhood life in the quiet, but dangerous 1950s and then transports the reader abroad in both time and place, especially to Southern Italy, where he has traveled for years. Waterwalking in Berkeley is a poetic Baedeker for places far away and close to home, a guidebook to feelings large and small. In 1979 Alan Bern’s wife gave birth to a healthy son three months after having a ruptured aneurysm that left her permanently brain damaged. She died four years later without ever knowing that she had had a child. This book is about that period.